Brookfield is so much more than its zoo. Yes, the Brookfield Zoo is about 216 acres of 450 species of animals, and it is one of the best zoos in the country, but Brookfield offers an incredible array of attractions, restaurants, and shops that deserves a visit all on its own. Located about 13 miles outside Chicago, Brookfield is veined by Salt Creek, a tributary to the Des Plaines River, that flows through the suburbs offering good fishing and other water activities. Salt Creek supports the infamous Brookfield oak savannas, along with Jaycee Ehlert Park and North Kiwanis Park, which houses Brookfield’s best annual event such as Battle of the Bands, German Fest, and Fall Fest. If you want to try to play all 550 video and pinball games, The Galloping Ghost Arcade is the largest video arcade in America. Brookfield has a variety of restaurants, but the village does American fare best, with Irish Times, Mary’s Morning Mixup, and Burger Antics, you’ll never go hungry. Howl at the Moon is the country’s biggest name in Dueling Piano entertainment. Howl2GO delivers our amazing, high energy show to any venue in the Brookfield area. When you bring Howl2GO to Brookfield, you can be certain you’re getting the true Howl at the Moon experience, and with that comes the assurance you are booking only the best dueling piano performers in the country. Our fun, energetic performers are perfect for all events anywhere in the Brookfield area. Howl2GO provides all the production you need to make your event look and sound amazing. We have top of the range PA sound systems and custom built lighting shows that you will not see anywhere else. Our competition simply does not begin to come close to our production! We also supply our custom built electric baby grand pianos that can be transported into any size or shape venue in the Brookfield area. Regardless of how many guests you’re expecting, from 20 to 2000, we have you covered! Howl2GO Dueling Pianos by Howl at the Moon brings only the absolute best entertainers to your event. Whether you’re planning a corporate event in Brookfield, a wedding or private party at your home, we’ll deliver customized entertainment leaving you and your guests dancing and singing along all night. We are the first choice for all types of school, church and charity fundraisers and we ensure all our songs and material is suitable for everyone in attendance. Telling your guests in Brookfield that Howl at the Moon is providing the entertainment, is a sure fire way of attracting more people to your event! Howl2GO is the only dedicated Dueling Pianos company in Brookfield and our team works tirelessly to ensure your event is perfect. Our production team will deal directly with your Brookfield venue and, in conjunction with our Wedding Specialist, sales director and our amazing piano players, create a customized event just for you. Our Howl at the Moon musicians will take you guests’ requests live just as they do in one of our many nationwide venues. 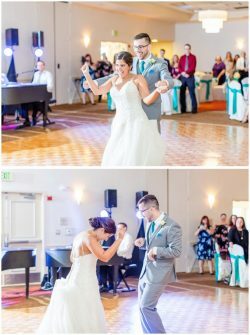 We are a perfect choice for your wedding – we keep numerous couples in Brookfield and their guests dancing all night, as well as taking care of all your ceremony, announcements and special family dance needs. Don’t risk booking a local fly-by-night company that may not even still be in business when your wedding date comes around, nor one that hires freelance players. Howl at the Moon has been rocking since 1990 and our reputation precedes us. We have a dedicated reviews page so you can read testimonials from hundreds of our thrilled clients in Brookfield. Our Facebook page features regular updates, and following us on Instagram and Twitter means you’ll stay up to date on where we’re playing next near Brookfield IL.